On-board weighing systems offer an innovative and convenient way to measure loads on trucks, loaders, and various other load-bearing vehicles. In short, these advanced on-board scales help to save time, energy, and resources, providing companies with efficient means to weigh loads at maximum output and minimal bottlenecks. Unlike traditional weighing scales like weighbridges, on-board weighing systems offer both industrial and transport companies many benefits such as increased operational efficiency, reduced fuel consumption, accuracy, and reliability. Here are top three top 3 companies that design and supply on-board weighing systems. Also known as VPG, this global company has been a top UK manufacture of on-board weighing scales. Recently, VPG launched operations in France, Belgium, Holland and US making it one of the first global companies in this field. For the past 40 years, VPG has been championing the use of advanced instruments and materials, innovative team and an in-house research team to develop market leading weighting systems that can deliver high performance and is highly dependable even in rugged environments yet highly accurate. Its on-board systems are mainly used for light commercial vehicles and can be used in a range of industries including bulk haulage, waste management, forestry or even to weigh aircraft.VPG understands the demands of an ever-changing industry and thus are involved in constant improvements such as efficient overload protection and on-board truck control. This way, the system can enable real-time trucking of the truck; eliminate load readjustment time as well as verification of the loads. With over 50 years in the industry, Walz Scale is another global leader in the use of advanced weighing technology to provide efficient weighing solutions. It is popular for its custom-integrated on-board weighing systems designed for a range of industries including agriculture, transport, and waste management among others. Walz Scale understands that customers have varied needs, thus their on-board weighing scale is not a one size fits all product but rather are highly customized depending on customers’ needs. 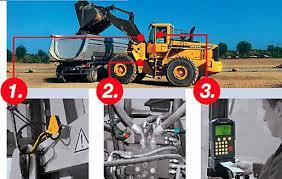 This image shows just how simply an on-board weighing system works for a loader. Walz Scale specializes in not only on-board truck scales, but also various other on-board systems for conveyors, loaders, etc. One unique feature of Walz Scale is the integration of technology and software platforms to ensure the scales gather and share valuable data with customers or management. The truck scales are designated and integrated into the vehicles to provide the vehicle's weight without the need for an external weighing system. The main advantages associated with this system include: are versatile thus can be integrated in any vehicle such as conveyors, loaders and grain carts, feature in-cab digital indicators which are used in the streamlining of payload management and are designed with the ability to withstand high loads as well as ease of usability. This is another global manufacturer of high-tech and advanced on-board weighing systems based in Australia. 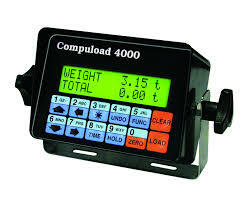 Compuload are focused on the provision of economical and efficient weighing solutions for a range of industries such as transport, loading, warehousing and inventory activities. The system uses a display sensor, a microprocessor and in build memory in calculation of current loads which is then displayed as 3 digital values. 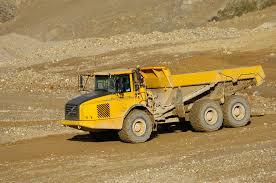 Its on-board system can work on any vehicle as long as the vehicle has axles. One unique feature about its system is the inclusion of an alarm that is designed to ensure that the payload is not exceeded. Thus, in case the driver gets distracted during loading, the alarm goes off when payload is exceeded making its on-board system one of the most trusted globally.